We looked at the top 10 Mini Projectors and dug through the reviews from 72 of the most popular review sites including Non Stop Best, New York Times Wirecutter, The Verge, PG Magazine - SE Asia, CNET, Tech Radar and more. The result is a ranking of the best Mini Projectors. Our experts reviewed the top 10 Mini Projectors and also dug through the reviews from 72 of the most popular review sites including Non Stop Best, New York Times Wirecutter, The Verge, PG Magazine - SE Asia, CNET, Tech Radar and more. The result is a ranking of the best of the best Mini Projectors. If you're looking for portability, it doesn't get better than the Optoma Portable LED Projector. This projector is not only small but lightweight, weighing in at only 0.8 ounces. You can also link up to your iOS or Android mobile device to access your files or stream video. DWYM Electronics Experts plus BestReviews, Pocket-lint, Non Stop Best, Projector Labs, Picking Hut and 1 more. Along with user reviews from Amazon. "A top-of-the-line model from a trusted company that offers 700 lumens for clear, bright projection." "Might need an external speaker for best result"
For those who simply want a projector that can display presentations, the DBPOWER Mini Portable Projector will be a great option. The price point is its biggest selling point, being one of the few mini projectors you can buy for less than $100. It weighs in at only 2.18 pounds, so taking it on the go will also be easy. DWYM Electronics Experts plus BestReviews, The Gadgeteer, Non Stop Best. Along with user reviews from Amazon. "Decent picture quality considering the budget price"
"The built-in speaker is also basically useless. If I ever need sound then I take a small speaker and plug it into the audio-out jack." You won't even need a device to use the Anker Nebula Mars II Mini Projector. It comes with an Android operating system built in. This projector is best for watching movies and gaming in extremely dark rooms, so it won't be the best choice for professional presentations in bright conference rooms. You can also use this projector as a Bluetooth speaker to stream music for up to 30 hours on a single charge. DWYM Electronics Experts plus Tech Radar, CNET, Tech Advisor, The Gadgeteer, Android Central, New York Times Wirecutter and 2 more. Along with user reviews from Amazon. "That’s particularly handy given the projector can be used as a standalone Bluetooth speaker too, where it’ll blast 30-odd hours of tunes on a single charge." "You can plug any source into the projector's HDMI port, but obviously that source's power requirements may limit overall portability." The crisp, clear video you'll get with the Anker Nebula Mars is thanks to 3,000 lumens and 800p definition. You'll pay for that quality, though, since this projector retails at a higher price than other mini projectors. With up to three hours of battery life and JBL speakers built in, this projector is for the most serious entertainment enthusiasts. DWYM Electronics Experts plus The Verge, New York Times Wirecutter, PG Magazine – SE Asia, CNET. Along with user reviews from Amazon. "The internal battery means you can take the Mars outside." "The Mars is not as user-friendly as the Mars II. Although it also offers the same set of inputs (HDMI and USB), screen-mirroring support, remote, auto focus and keystone system, and Android TV applications as the Mars II, the lack..."
We identified the majority of the mini projectors available to purchase. 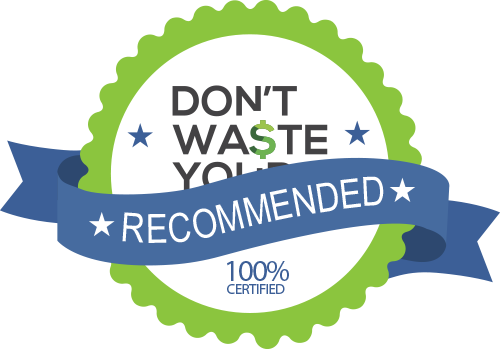 Reviews from our DWYM category experts and analysis of some of the most respected sources including: Non Stop Best, New York Times Wirecutter, The Verge, PG Magazine - SE Asia, CNET. For the Mini Projector category, we analyzed 72 of the most popular reviews including reviews from Non Stop Best, New York Times Wirecutter, The Verge, PG Magazine - SE Asia, CNET, Tech Radar and more. The result is a ranking of the best Mini Projectors.